A certain segment of the St George real estate buyers are now relocating from Northern Utah. While California and Las Vegas used to provide about a fourth of our buyer influx at the turn of the century, the majority of our buyer influx now comes from all over and the population is becoming increasingly diverse. St George is known for its good old fashioned family values, and this more than anything is what attracts all kinds of people here. From the World Huntsman Senior Games to our St George Marathon, Iron Mans and Triathlons and much more- a spirit of service, cheerfulness and generosity pervades our special events and adds significantly to a strong sense of community. All one has to do is take a drive out along Snow Canyon Parkway, out to Tuacahn where the red rock cliffs are the backdrop for the amphitheater plays, and you'll be hooked on the area. We have over 12 golf courses in the local area helping provide a greenbelt against the red landscape. It is apparent that the city is run fiscally well and with developing infrastructure, noteworthy being the new St George Regional Airport which allows for larger commuter jets and commercial freight. All of these factors have already put us “on the map” for popular destinations for relocation, if not a great place for business. Being a popular and growing second home owner and retirement destination, further makes it more likely that one cannot go wrong with their real estate values holding or appreciating. Speaking of Washington County Utah, but more pervasively toward Ivins and Hurricane, the beauty lies not just in the variety of terrain, but in the color. You can range from black lava rock, soils that are red and white, to rock and cliffs that feature a variation of those colors. There is a variation of red or sandstone colors that predominate. Combine that with a sunset and you have some views that are literally breathtaking. 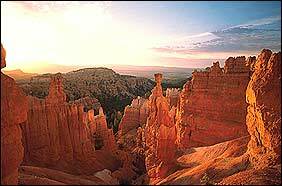 Many visual and recreational delights abound throughout Southern Utah. Like the hub of a wheel, the main city of Saint George is centrally located between four major cities. Las Vegas, Nevada is the closest to the south just over the border about two hours away. St. George, Ut has also been rated by Kiplinger as one of the top places to retire. If you are looking to relocate to Southern Utah and need other helpful information check out our Local Area Information page. Feel free to check into our St George employment opportunities. Also, we believe that we have the best available information on Washington County Schools. Many people are looking to get away from the fast pace living. Anyone that visits will attest that while it is in flux from growing, it is nevertheless a city that feels grounded in history and shared community values - a place of permanence. People who have homes in the area, don't wind up here by chance or because it is a sprawl from some other city. Most people have a sense that this is a special place, chosen for reasons that only its residents fully appreciate. 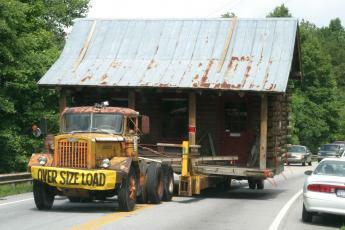 Fill in the form below to get your free relocation package. 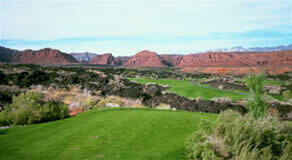 The relocation package contains a map of St. George and surrounding areas plus the St. George Area Guide which includes a resourch guide, utility guide, dining, lodging, Churches, golf information, shopping, understanding state taxes, health care, Chamber resources, business directory, distances to other cities, drivers license, industrial parks, internet access, largest employers, parks, sales & building permits, transportation, (includes information on Ivins, Hurricane, LaVerkin, New Harmony, Zion Canyon, Enterprise, Springdale and other communities) plus much more. If you would like a Relocation Package from the Chamber of Commerce, just fill out the form below and we will forward the information to them to get it out to you.